The end of Dexter is almost here, Dexperts. Five more days. The penultimate episode of the eighth and final season of Dexter aired a couple of nights ago. "Monkey In a Box" is written by Tim Schlattmann & Wendy West and directed by Ernest Dickerson. Skip the jump to read our thoughts on the episode, vote and discuss, (in case you didn't). 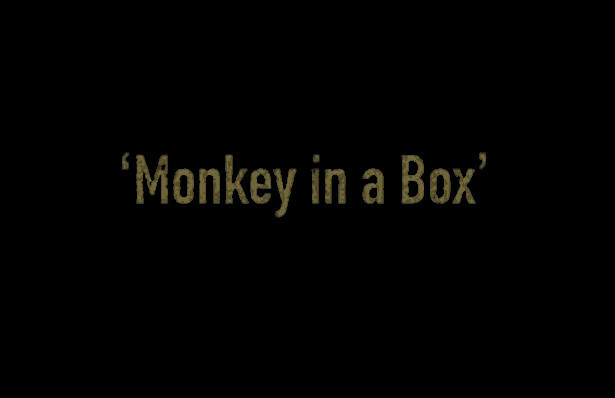 -"Monkey In a Box" picks up few minutes after Vogel's death. Dexter is cleaning the blood off his hands. He rifles through Vogel's personal things to make sure any mention of him among her files is gone. Afterwards, he calls Miami Metro to say he found Vogel's body. -Few hours later he informs Deb about Evelyn's death. -Dexter sells his apartment, with a help from an old good friend. Sylvia Prado. It was so good to see her back to the show. -Dexter is also selling his boat. -Back to Miami Metro there's an unpleasant surprise for Dexter in the interrogation room. Quinn is interrogating Saxon about Cassie. Dexter is there to take a DNA sample from Saxon. -Deb officially returns to Miami Metro, and her old desk. She asks Dexter why he's helping them get Saxon, wondering wouldn't he just want Saxon for himself. -Quinn and everyone else in Miami Metro learn Saxon is Vogel's son. -Saxon is a building inspector, and Dexter starts investigating closed buildings in Miami. When he learns of an abandoned hospital, he suspects Saxon is there. -Later Dexter finds Saxon's kill room inside the hospital. Loved the interaction between Dexter and Harry in that scene. -US Marshal Clayton visits Deb and tells her that the emergency room attendant said that Hannah brought Harrison in. Deb claims that it was her. -Saxon wants Dexter and him to walk away from each other. When Dexter refuses, Saxon starts to threaten his family, and Hannah. Dexter then agrees to Saxon's arrangement, but his inner voice-over doesn't. -After Elway's visit, Dexter thinks that Hannah is not safe at Deb's house. -It is Dexter's last day in Miami and Deb brings beers and stakes at his apartment to 'celebrate'. Dexter tells her that he's expecting Saxon to appear there, who's after him. -While Deb's away, the Marshal and Jacob are going through her apartment and learn that someone was looking at flights to Argentina on the computer. -Saxon shows up at Dexter's apartment after seeing the news footage at the gas station, asking for the public's help in arresting him. Dex is pretending to be asleep in his bed, while Deb sneaks up behind Saxon to help ensure Dex captures him. Deb walks out to let Dexter kill him. -Dex takes Saxon to his own kill room and Saxon warns Dexter that he'll eventually kill Hannah. Dexter promises that he loves her. He suddenly realizes he's not "excited" to kill Saxon! -Then he calls Deb to tell her about the change of his plans. He wants the police to take Saxon in. -Big moment: Dexter doesn't have the urge to kill. So Harry tells Dexter as he's leaving that he doesn't need him anymore. -Deputy Marshal Clayton was following Deb, heads inside the abandoned hospital and finds Saxon, who pretends to be a kidnapped victim. -Saxon attacks the Marshal and even gets off a shot at Deb. As she lays bleeding on the floor, she places a call for help. -Deb gets shot exactly where Trinity's daughter Kristin shot her back in Season 4. Is that a good sign?